This 802.3af/802.3at PoE tester, connected to an RJ45 outlet, allows you to test a live ethernet cable and determine if power and data are present. 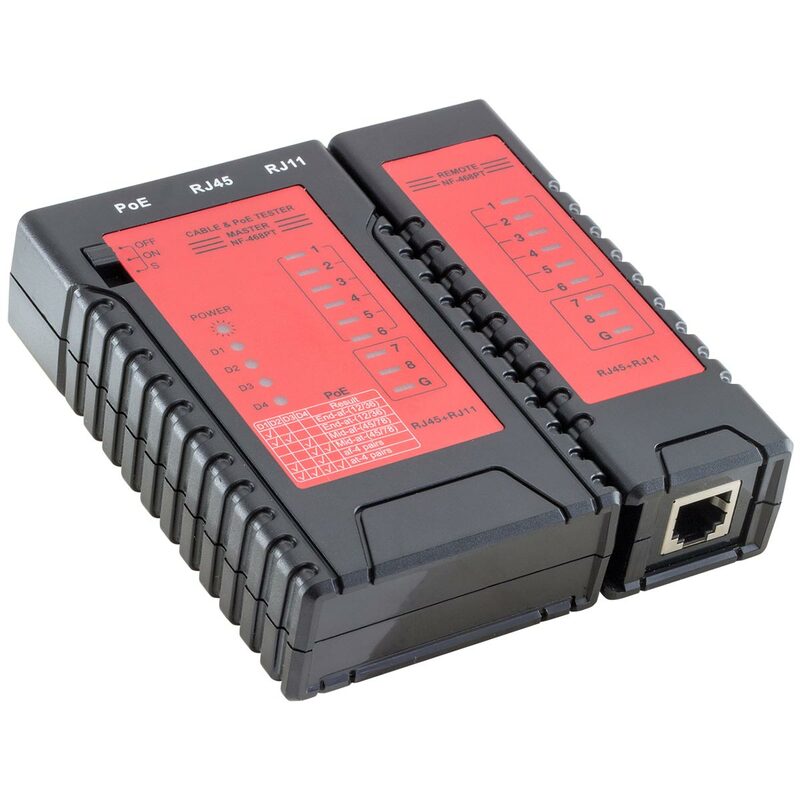 The NF468PT also identifies the type of power sourcing equipment (either endspan or midspan) in your network. 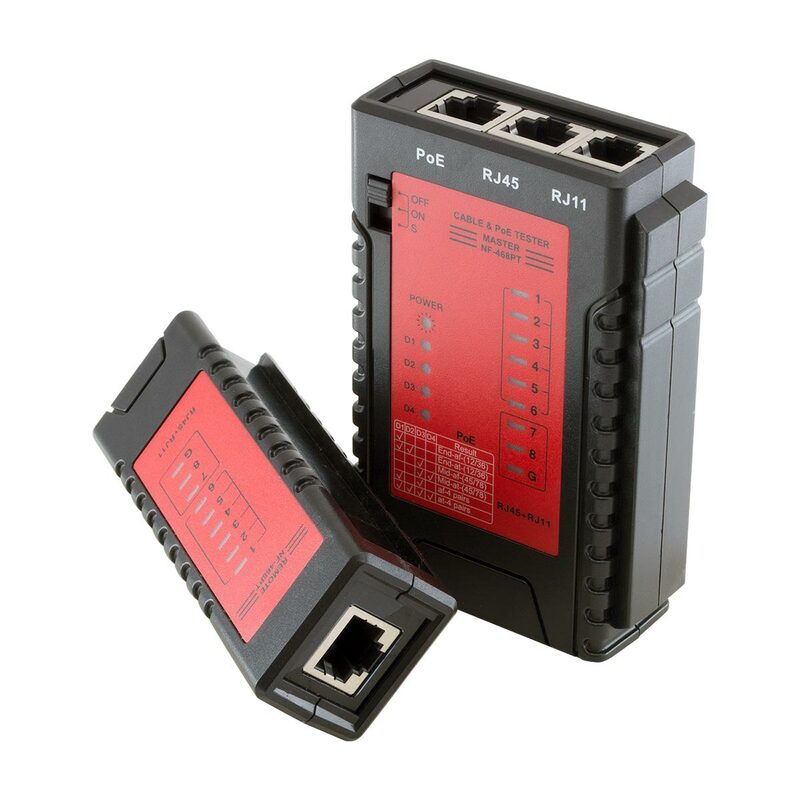 This unit features an easy to use power over ethernet adapter for professionals, businesses and home users to determine the existence of PoE.